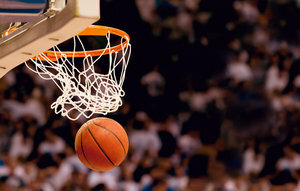 When you’re in town for a concert or sports game, relax at our full-service hotel near Hampton Coliseum. This versatile facility hosts everything from Monster Jam to Disney on Ice, the Hampton Jazz Festival and high school wrestling tournaments. Save a little extra with our hotel deals on your next stay at Hampton Marina Hotel. 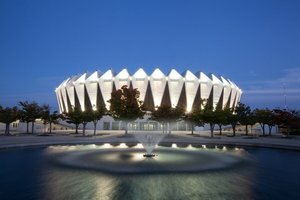 Stay up-to-date with events at Hampton Coliseum! It’s just a 10-minute drive or 3.1 miles from our hotel near Hampton Coliseum. Head east on Settlers Landing Rd. Turn right onto S Armistead Ave.
Use the left 2 lanes to turn left onto Convention Center Blvd. Turn right onto Coliseum Dr. Parking is free and available on a first-come basis. Access the parking lots from both Convention Center Blvd and Coliseum Drive. See the coliseum’s Disabled Parking Map for drop-off and parking spots. Guests requiring the use of a wheelchair must bring their own. Hampton Coliseum is home to several hockey teams, including the Virginia Wings, Hampton Gulls, and the Hampton Aces. Also known as “The Mothership”, the rock band Phish has played at the venue 21 times. 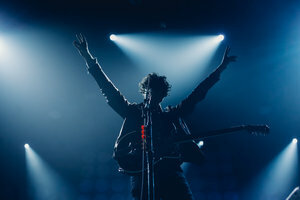 Some of the United States’ most high-profile artists, such as Kiss, Brice Springsteen, and Garth Brooks have performed at this iconic arena in Hampton. Book your stay at our comfortable waterfront hotel near Hampton Coliseum for a wonderful visit in Hampton, Virginia!